King of the Beggars - Sean O’Faolain. Thomas Nelson, London, 1938. pp 368. This book was in the late William Doolin’s library and was given to me by his widow, Maureen, at the time of his death. I had my first consulting rooms in his house, 2 Fitzwilliam Square, from 1950 to 1954 (now owned by Sir Anthony O’Reilly). Doolin was a surgeon at St. Vincent’s Hospital but was better known for his interest in literature. He edited the two medical journals in Dublin at the time, and was most helpful to me when I began my career as a writer and my early and short-lived career as a medical historian. He is commemorated by the prestigious annual Doolin Lecture established by the Irish Medical Association. Before my first major address to the Royal Academy of Medicine in 1953, he sent for me and said Don’t forget when you are speaking, address somebody at the back of the audience and on the night in question, as I rose to stand at the podium, I saw Doolin seated at the very back of the theatre. I have never failed to follow his advice since. 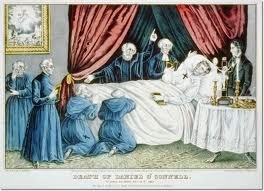 O’Connell was born in Catherdaniel, Co. Kerry, in 1775, and died in Genoa in 1847. His family was one of the scattered Irish Catholic landowners and mute minor aristocracy at the time when up to eight million Catholics were living in poverty and played no part in the government of their country. By the time of O’Connell’s arrival on the political scene they were still suffering from the residue of the penal laws. The Irish Catholic gentry, limited as it was, had little urge to rock the boat at Westminster and was largely happy to maintain the status quo, even if some of their members made feeble efforts to influence Westminster and to ease the lot of the Irish peasantry. The limited Catholic aristocracy proved to be generally opposed to O’Connells’ radicalism and, like all those with privilege, if not political power, they cared little for the welfare of their powerless religious compatriots. Daniel O’Connell was the exception. Well educated at home and subsequently on the continent and in England, he qualified as a barrister in London and Dublin. He alone was largely responsible for the granting of Catholic emancipation and giving the dispossessed Irish population the confidence and the leadership to challenge the House of Commons and the corrupt Irish legal system and administration. O’Connell’s struggle with the Irish and British political masters amplified the invariable law that power corrupts and that concern for the underprivileged is met with lip service except when sufficient pressure is brought to bear on the powerful through mass public opinion or through violence. This has certainly been confirmed through more recent Irish history. Outstanding among O’Connell’s attributes was his humanity, energy, courage, passion, vanity, deviousness and unpredictability. He was to devote his entire public life to bolstering the morale and the pride of the cowering Catholic majority and to fight the social, economic, educational and political restrictions under which they existed during the previous 150 years. He was himself a political radical in his time and committed to espousing the rights of man and the freedom to practice religion, irrespective of the individual’s belief. He believed that religion, irrespective of denomination, should be entirely separated from politics. His political life was divided into different phases but mainly concerned the emancipation of the Catholics of the two islands and, at the same time, the repeal of the Union. He was constantly in conflict with the Irish administration and the Irish legal system, and he had differences with conservative Catholic landowners. He had similar differences with the Catholic Bishops when they were tempted, after the Union, to accept Crown control appointments to the hierarchy in exchange for generous grants to Catholic institutions and the payment of the clergy by Westminster. Rome encouraged the Irish Church to accept the offer of this financial assistance. This was strenuously rejected by O’Connell and eventually by the hierarchy itself. He was at all times consistent in his principles about the separation of religion from politics, a most worthy proposal bur sadly neglected over history. It would be interesting to speculate about the subsequent history of Ireland if the hierarchy had accepted Westminster’s offer after the Union. The same offer was made to the Presbyterian ministry in Ireland and was apparently gladly accepted by an impoverished clergy. This event must have had a profound effect on the republican and separatist attitude of the Presbyterians in the North at the time of the 1798 rebellion and the subsequent Union. The Emancipation Act was designed to restore civil and political rights to Catholics in Great Britain and Ireland. In Ireland, apart from allowing the free practice of religion, precious few other benefits accrued. 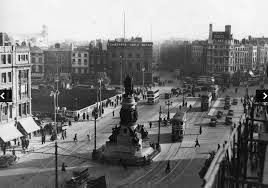 Other concessions, such as public and legal appointments, were only later and very reluctantly granted by the Irish administration. Indeed, as late as 1916 there were no Catholics in the Dublin Castle administration. 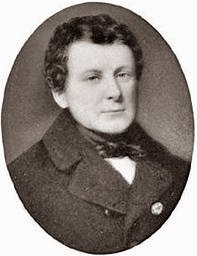 During his final years, in the 1840s, with the advent of the Young Irelanders, there was a new thrust in O’Connell's movement for reform and for repeal with the great mass meetings which started in 1843. 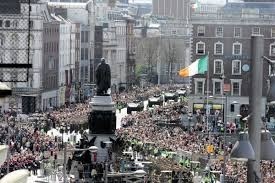 Huge peaceful demonstrations took place all over Ireland, with as many as several hundred thousand people attending. They were orderly and their success was greatly contributed to by the urging of Father Mathew and other church and lay leaders who forbade the use of alcohol on these occasions. These meetings proved to be a great embarrassment to Peel and the British government, and the crisis came with the administration’s decision to ban the last meeting of the year planned for Clontarf in October 1843. The army attended en masse, as did the warships in Dublin bay. O’Connell cancelled the proceedings, leading to one of the most, if not the most, intense political controversy in the history of Ireland. There is little doubt that a peaceful demonstration of solidarity, even if it provoked military intervention on the British side and deaths among the people, would have profoundly affected public and international opinion (such as it was) and would have provided the martyrdom of O’Connell and his followers. The capitulation may have been understood at the time by the majority of O’Connell’s supporters but not by the Young Irelanders who were then coming into prominence. But the cancellation of the Clontarf meeting marked the beginning of the end of O’Connell’s influence and the return of the plain people to a loss of hope, to disastrous famine and to future and recurring violence. After Clontarf, he left a vacuum behind him but by then he was old and testy and spent, and his revolutionary vigour had been sapped by his years in the House of Commons and his association with the establishment. He left no successor and was antipathetic to the Young Irelanders, as was the Church. The Hierarchy was suspicious of the Protestants who were prominent among these emerging patriots. 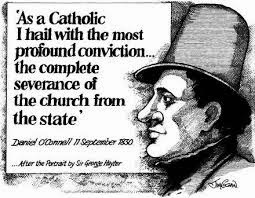 It was inevitable that the vast movement of the Catholics would lead to divisions amongst them and their leaders, a situation aggravated by the aged O’Connell hanging on and leaving no settled or influential political structures behind him. If we never had any political violence in Irish life, if we never had Young Irelanders or the famine or the Fenians or 1916, would we not, in the light of the progress of liberalism from the time of Tom Paine and the American and French revolutions, have done better by following the non-violent methods of O’Connell? If Parnell and the Irish Parliamentary party had survived without 1916, the War of Independence and the Civil War and the consequences of these, surely, with the spread of liberalism in Europe and within the British Commonwealth, Ireland would today be self-governing and probably would not be partitioned? This is pure speculation but these views remain muted in our society because of the compelling need to justify the events of the past. It is easy to speculate and to moralise about our past history as we look at things in retrospect and outside the context of earlier times but there is little doubt that the intransigence of the English, and most particularly the Tory Party and the House of Lords, lies at the basis of the tragedies that Ireland suffered in the last century and the disastrous effect on our relations with our sister island and with our Northern brethren. I found two reviews in the book by Stephen Gwynn and Desmond McCarthy, and a long article in the Times Literary Supplement of 11 April 1929 entitled Catholic Emancipation (the cuttings all no doubt inserted by Bill Doolin). The latter is worth a review in itself, if only to confirm the patronising and bitter attitude of the English and the Anglican Church to Catholicism at O’Connell’s time and the antipathy to the Pope and to international Catholicism. One influential protagonist, in supporting emancipation, said As for the enormous wax candles and superstitious mummeries and painted jackets of the Catholic priest, I fear them not. And he added There is no Court of Rome, and no Pope. 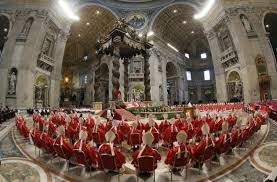 There is a waxwork Pope and waxwork Court of Rome. But soon that patronising, critical and carping attitude of the Anglicans was to start changing through the influence of Newman, Cardinals Wiseman and Manning, and other Catholic leaders in England, and indirectly through the more distant political influence of O’Connell in Ireland and in the House of Commons, not to mention the subsequent coming together of Protestant and educated Catholics in the cultural revival in Ireland at the turn of the 19th and 20th centuries.